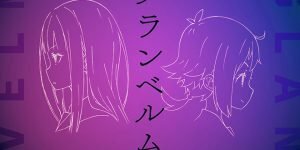 The Nexus animation studio recently announced that it was working with some members of the Re:ZERO production team on a new original anime entitled Granbelm carries. Now a first visual, some screenshots and other character designs have been released. You can see the pictures below in the article. 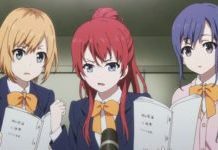 The anime is created in Studio Nexus (“Comic Girls”, “Chivalry of a Failed Knight”) under the direction of Masaharu Watanabe (“Re:ZERO -Starting Life in Another World-“). Jukki Hanada (“No Game No Life”, “Love, Chunibyo & Other Delusions!”) writes the script, while Shinichirou Otsuka, the illustrator of the “Re:ZERO” light novel, is responsible for the original character designs. Uru, who was already responsible for the opening of “Legend of the Galactic Heroes: The New Thesis” and the ending of “Natsume Yujin-cho the Movie: Ephemeral Bond”, will contribute the ending song. 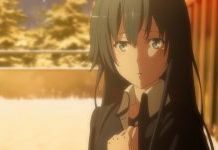 The anime takes place in a world in which the existence of magic was in the foreground a long time ago, but this ability has long since been lost. The story begins when normal high school student Mangetsu Kohinata meets Shingetsu Ernesta Fukami on a full moon night, who has moved back to Japan from Germany. “Granbelm.” is scheduled to appear on Japanese television this summer.